Prolific singer-songwriter Clint Black has long been heralded as one of country music’s brightest stars. His many talents have taken him even further, as Black has transcended genres to become one of the most successful artists in all the music benchmark in any artist’s career. While it’s well-known that Black is an accomplished singer and guitarist, people may be surprised to learn that he is also proficient on drums and harmonica. Black’s continued success through the years can be attributed in part to his deep sense of country music history, and his humble gratitude in being an important part of it. The 1989 debut of his critically acclaimed fan favorite, the Triple Platinum Killin’ Time, marked a shift in the industry, with a return to the more traditional sounds of the genre. For Black, Killin’ Time was only the beginning. Put Yourself in My Shoes followed in 1990, and quickly went triple platinum. Since then, Black has had nearly two dozen No. 1 hit singles, and almost as many Top 5 and Top 10 hits — all of them his original compositions, which is itself a notable rarity in popular music. The overall number of his awards, including a star on the Hollywood Walk of Fame, surpasses the number of his hit records, while he has performed for a staggering number of dedicated music fans in concerts through the years. His new album, On Purpose, is Black’s first all-new studio album in a decade and his twelfth studio album overall. The 14-track album, recorded at Black’s studio in Nashville compiles a strikingly diverse group of his self-produced songs. The lilting “You Still Get to Me” marks Black’s third duet with his wife, actor Lisa Hartman Black. Ballads like “Only One Way to Live,” “Stay Gone,” “Breathing Air” and “Last Day” have never cut deeper, while his merry, clever “Beer” and “Better and Worse” are among the most upbeat songs that he has ever crafted. “Time For That,” “Doing It Now For Love” and “Summertime Song” are catchy examples of how groove-soaked his music can be. “Calling It News” is a wry, topical statement, while “The Trouble” is colored by Australian slang. 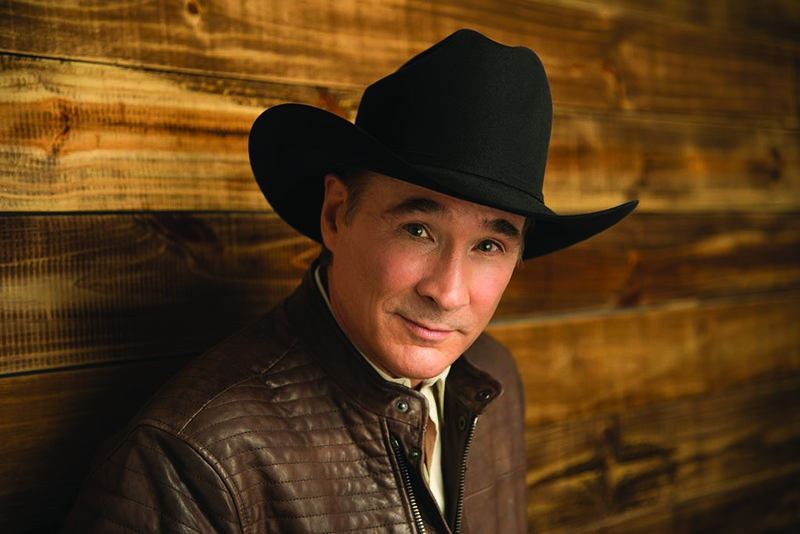 See Clint Black live at the Wheeler Opera House, Saturday, March 19 at 8 pm. Tickets start at $95. Visit wheeleroperahouse.com to learn more and to buy tickets.